Author: Sierra, Judy Set In . . . 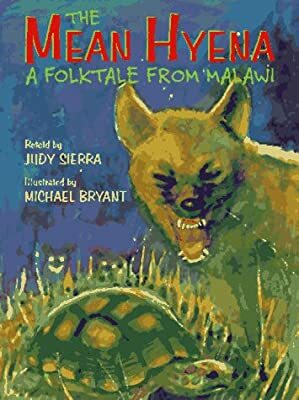 Description: After the mean hyena, Fisi, sticks Malawi the tortoise between two tree branches, Malawi gets his revenge by painting all the animals beautiful new coats (stripes on the zebras and spots on the leopards), except for Fisi, who only gets tree gum that makes his fur stand up in funny places.